Report: The Daily Wire in Talks to Acquire Glenn Beck’s TheBlaze. According to a report in The Daily Beast, the conservative news and commentary site The Daily Wire – operated by conservative media figure Ben Shapiro with backing from the East Texas billionaire Wilks family – is in talks with Glenn Beck to acquire his TheBlaze news and opinion site. The piece by Betsy Woodruff and Lachlan Markay reports that TheBlaze did not respond to a request for comment but that Shapiro told them, “TheBlaze welcomed us to the space as allies from the beginning, and we’re always looking for ways to strengthen our partnerships with our allies.” TheBlaze turns eight years old this year and of late has had to cut costs. Reports indicate TheBlaze downsized its staff in 2017 in response to fiscal challenges. Interestingly, the story says the Wilks family was pursuing a purchase of Breitbart but ran into a wall in that effort. Shapiro has hosted and co-hosted talk radio shows, both at KRLA, Los Angeles as part of the morning show and at KTTH, Seattle as solo host. Now, he hosts a podcast program available via The Daily Wire. PPM Analysis: A Yearlong Look at Spoken Word. Managing editor Mike Kinosian presents an analysis of how news/talk, all-news and sports talk radio performed over the course of 2017 based on 6+ data from Nielsen Audio. Kinosian’s report illustrates the high and low 6+ rating marks for stations in all three format categories: news/talk, all-news, and sports talk. In the news/talk format, Entercom’s WTIC-AM, Hartford owned the largest swing – from a high of an 8.8 share in January 2017 to a low of 4.4 in August and the Holiday sweeps. Entercom sports talker WIP, Philadelphia saw the widest swing in that format – achieving an 8 share in November after chalking up a 3.9 share in February. Read the whole report here. Special Screening of Guardian Angels Film Tonight at Cumulus’ Stage 17 in NYC. There’s a new documentary film out that chronicles the Curtis Sliwa-founded Guardian Angels. It’s called, VIGILANTE: The Incredible True Story of Curtis Sliwa and the Guardian Angels, and Sliwa’s radio home – 77WABC – is hosting a special screening of the film at the Cumulus Media event space Hackensack Meridian Health Stage 17 tonight at 6:00 pm. The screening of the film by David Wexler takes place on the 39th anniversary of Sliwa’s inaugural Guardian Angels Safety Patrol into the New York City subway system on February 13, 1979. Known by their signature red berets, the Guardian Angels expanded from just 13 members in New York City to become an international phenomenon that continues in more than 140 cities in 14 countries. Sliwa says, “The Documentary gives one an inside look into what it was like to live in New York City from 1979-1992 when crime, crack, and chaos were everywhere. It was my baptism in hell, yet somehow I survived.” Sliwa currently hosts the 12:00 noon to 3:00 pm show, “Curtis + Cosby,” with Rita Cosby on WABC. 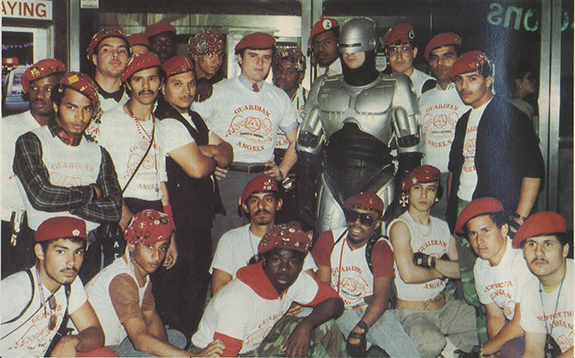 In the photo above, Curtis Sliwa (center) is pictured with other Guardian Angels and an actor in a Robocop suit in “the early days” of the Angels. TALKERS News Notes. Bakersfield market talk show host Inga Barks is joining a new, hyperlocal digital platform designed to serve Kern County, California. Called Kern Cast, the platform’s studios are based at the Bakersfield Music Hall of Fame building. Barks was most recently hosting a show on Alpha Media’s KNZR, Bakersfield but was let go in January in a budget-related move. She also previously hosted a program on American General Media’s KERN, Bakersfield…..Chesapeake-Portsmouth Broadcasting flips WHKT, Portsmouth, Virginia from news/talk to Christian contemporary, due to revenue concerns. The station had been airing a number of syndicated talk hosts – Salem Media’s Dennis Prager, Courtside’s Laura Ingraham, and Westwood One’s Mark Levin – as well as regional host John Fredericks (still heard on the company’s WPMH, Portsmouth)…..FOX Sports Radio reports that its total podcast listens for the network’s Monday through Friday lineup reached a milestone of 10.25 million across all platforms for the month of January, as measured by ART19. The company says the latest benchmark is “the result of record growth across FOX Sports Radio’s weekday programming lineup, including: ‘The Herd with Colin Cowherd,’ ‘Outkick The Coverage with Clay Travis,’ the Doug Gottlieb show, ‘Steve Gorman SPORTS!,’ ‘JT ‘The Brick’ with Tomm Looney,’ the Jason Smith show with Mike Harmon, and the Ben Maller show.” The company says most recent streaming results for FOX Sports Radio also showed impressive gains. The network experienced a 20% year-to-year increase in December 2017, and each of the past four months (September through December) ranked as the most-listened-to months in FOX Sports Radio streaming history…..SiriusXM is planning to air a never-before-heard interview with late comedian Joan Rivers on its Entertainment Weekly Radio channel Thursday (2/15). The special is being hosted by Dan Bucatinsky and “Will & Grace” co-creator Max Mutchnick and features PEOPLE and EW editorial director Jess Cagle discussing the conversation. Farley, Loudon, and Cooke Discuss Talk Radio Content on RT America. 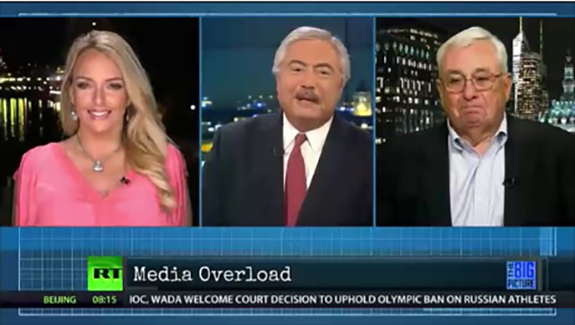 Pictured above (from left to right) are frequent Fox News Channel guest Dr. Gina Loudon, consultant and RT America host Holland Cooke, and radio news pro Jim Farley on Cooke’s “The Big Picture” program discussing “Fake News + Fleeting Attention.” Farley was an ABC and NBC News executive who also managed ratings and billing all-news radio giant WTOP, Washington and tells the viewers he “was inside the Acela corridor bubble.” Dr. Loudon urges “committing at least 5% of news/talk consumption time to people who see things differently.” See the show segment here. The Trump Budget Plan, Trump-Russia Probe, Porter Exit Fallout, Syria-Israel Tensions, North Korea Nuclear Program, Trump Entitlement Reforms, Official Obama Portraits, PyeongChang Winter Games, and NBA Action Among Top News/Talk Stories Yesterday (2/12). The details of the Trump budget that adds to the deficit, includes an infrastructure plan, and more money for the military; the Robert Mueller-led investigation into possible connections between Trump campaign operatives and Russia agents; the White House fallout from the resignation of aide Rob Porter after allegations of domestic violence; tensions in Syria as Damascus warns Israel about further military strikes and Iran’s involvement in the Syrian conflict; President Trump’s charge that Russia has not been helpful in efforts to de-nuclearize North Korea; President Trump proposed overhauling the housing, food stamps and health care programs; reactions to the official portraits of President Barack Obama and First Lady Michelle Obama; the Winter Olympics in PyeongChang, South Korea; and NBA action were some of the most-talked-about stories on news/talk radio yesterday, according to ongoing research from TALKERS magazine. Music Radio News and Career Moves. In Seattle, Hubbard Radio appoints Gus Swanson to the marketing/promotions director position for adult contemporary KRWM “WARM 106.9.” Swanson was most recently marketing director and event producer for CBS RADIO in Seattle. Hubbard Seattle market manager Marc Kaye says, “We are so excited to have someone with Gus’s market and business experience join the great team at ‘WARM 106.9,’ it’s a very good day!”…..iHeartMedia announces the return of the “iHeartCountry Festival by AT&T” taking place on Saturday, May 5 at the Frank Erwin Center in Austin. This is the fifth consecutive year for the festival and acts set to play this year include: Luke Bryan, Keith Urban, Dustin Lynch, Cole Swindell, Maren Morris, Sugarland, Luke Combs, Billy Currington, Dan + Shay, Jon Pardi, and Brett Young, with more to be announced. Premiere Networks syndicated morning personality Bobby Bones will again serve as MC. iHeartMedia president of entertainment enterprises John Sykes states, “What makes this festival special is that it is the one night the A-list of country music comes together to perform live, collaborate with friends and spend time together as a family. Everyone stays to support each other until the last band has walked off stage.”…..Cherry Creek Radio is agreeing to sell classic rock KLMR-FM and country KLMR-AM in Lamar, Colorado, plus oldies KBLJ-AM and country KTHN, in La Junta, Colorado to Aaron Leiker-owned 25-7 Media for an undisclosed sum. Kalil & Co. is the exclusive broker. E.W. Scripps Talk Stations on the Block. Yesterday’s news from E.W. Scripps confirming recent rumors that it is selling its radio station assets has kicked the speculation machine into high gear. Most experts believe there is no buyer out there who wants all 34 stations in this portfolio. Some say iHeartMedia and Cumulus are right out due to debt issues and that Entercom is still digesting its CBS RADIO acquisition. Companies that are more likely to be in the market for signals that fit their business model include Beasley Media Group and Saga Communications. One thing we can be certain of – it will be interesting to see who acquires which stations and how much they pay! Regardless, the following is a summary of the spoken-word stations in Scripps’ radio portfolio. In Milwaukee (Scripps’ largest market), there’s heritage news/talk WTMJ-AM. In Omaha, the lone talker is sports KXSP “AM 590 ESPN.” Tulsa has heritage news/talk KFAQ. And, Tucson is the home of news/talk KQTH-FM and sports talk KFFN-AM (plus its translator). Vince Richards Appointed OM at Entercom Sacramento. Programming pro Vince Richards takes over the operations manager post at Entercom’s Sacramento cluster that includes sports talk KIFM “ESPN 1320,” CHR KUDL “106.5 The End,” rock KRXQ, classic rock KSEG “96.9 Eagle,” and alternative KKDO “Radio 94.7.” Richards was most recently national operations manager for Townsquare Media. He comments, “Sacramento is one of the crown jewel markets in the company with a tradition of excellence and an incredibly talented and passionate staff. Thanks to Pat Paxton, Dave Richards and Lance Richard for passing me the torch and the opportunity to lead this awesome staff.” Richards takes over for Jim Fox, who was recently named vice president of programming for Entercom Dallas. Heavyweight Syndicators’ Top Execs to Speak at TALKERS 2018: Full Speed Ahead! The TALKERS editorial board and convention committee are pleased to announce the addition of two of the leading radio syndication company executives to the roster of industry leaders serving as speakers at the 21st annual installment of the talk media industry’s longest-running and most important national convention. Julie Talbott, president of Premiere Networks and Suzanne Grimes, president of Westwood One will address the movers and shakers of the talk media world at TALKERS 2018: Full Speed Ahead! on Friday, June 8, 2018 at the ultra-modern Helen Mills Event Space and Theater located in the colorful Chelsea district of Manhattan. Earlier this week, it was announced that Beasley Broadcasting CEO Caroline Beasley and Premiere Networks/FOX News Channel star Sean Hannity would serve as morning keynote speakers at the event. TALKERS founder Michael Harrison states, “Suzanne Grimes and Julie Talbott bring enormously pertinent content to this convention’s table. They are influential leaders with enormous experience, insight, perspective, and wisdom of great value to share about the state of the radio business.” The conference will feature more than 50 top speakers from all aspects of the spoken-word media industry – including talent, programmers, managers and owners – with a focus on talk radio and its role in the new digital age and at the dawn of a rapidly accelerating era. This will include programming, sales, marketing, and technology – the full spectrum of concerns, challenges and opportunities facing the modern-day talk broadcaster and broadcasting organization. 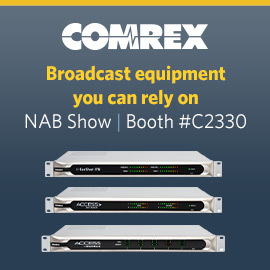 It will feature keynote addresses, panel discussions, fireside chats, and exhibits of the latest services and equipment available to broadcasting professionals. Like its predecessors, TALKERS 2018: Full Speed Ahead! will also provide its attendees with unparalleled networking opportunities and social mixers including breakfast, lunch, and a closing cocktail reception. All in a single power-packed day! Full agenda details, speaker roster and hotel information will be posted in TALKERS during the days and weeks ahead. As is customary with TALKERS conventions, TALKERS 2018: Full Speed Ahead! is only open to members of the professional media industry and communications students. Because seating is limited, and the event has been an early sellout every year since the 1990s, in order to maintain this policy, non-refundable registrations can only be purchased via telephone with a credit card. Full registration, including all functions, meals, and refreshments costs $329 per person. However, an early bird special ($279 per person) is available for those who register before 5:00 pm ET on Friday, February 2. To register or obtain sponsorship information, call Barbara Kurland at 413-565-5413. Lars Larson at the SHOT Show in Las Vegas. KXL-FM, Portland-based talk radio host Lars Larson (right) is pictured above at the enormous SHOT Show in Las Vegas this week. 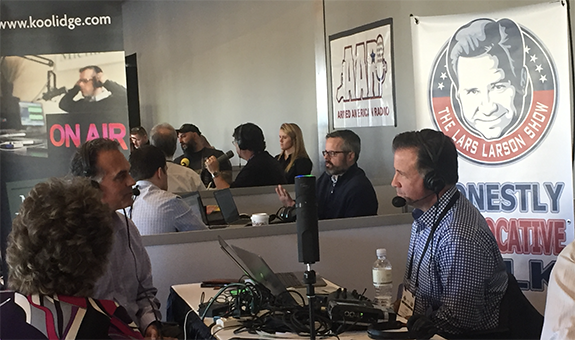 Larson – whose national show is syndicated by Compass Media Networks – is seen interviewing Nevada U.S. Senate candidate Danny Tarkanian (left). 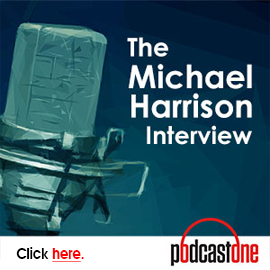 Popular Washington, DC Correspondent Victoria Jones Is This Week’s Guest on Harrison Podcast. Longtime talk media personality Victoria Jones, executive director of the DC Radio Company and recent senior White House correspondent for the Talk Media News Service, is this week’s guest on the award-winning PodcastOne series “Up Close and Far Out with Michael Harrison.” Jones – a British-US citizen – whose commentaries on Washington-based news and issues have been heard for years on hundreds of talk radio stations around the English-speaking world, is a veteran talk show host of such stations as WWRC and WMAL, Washington, DC; WRKO, Boston; WLAC, Nashville; and WXYT, Detroit. In a fascinating and unusual conversation with Harrison, she shares a candid, insider’s view of what it’s like to work as a member of the White House press corps. 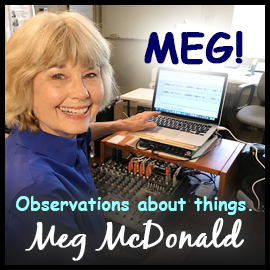 She talks about the processes and working conditions of being behind the scenes on a daily basis at the iconic mansion/museum/office building on Pennsylvania Avenue. 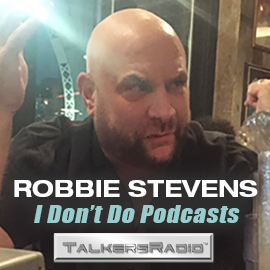 Don’t miss this funny, eye-opening, and extremely informative conversation. To listen to the podcast in its entirety, please click here or click on the “Up Close and Far Out” player box located in the right-hand column on every page of Talkers.com. Trump-Russia Probe Top News/Talk Story for Week of January 22-26. 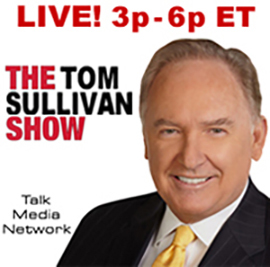 The investigation into possible connections between Trump campaign operatives and Russia agents, as well as a possible interview between President Trump and special counsel Robert Mueller was the most-talked-about story on news/talk radio this week, landing atop the Talkers TenTM. At #2 this week was the status of the Obama-era Deferred Action for Childhood Arrivals Act and the Trump Administration’s immigration policy. Coming in at #3 was the missing FBI texts case, followed by President Trump at the World Economic Forum in Davos, Switzerland at #4. The Talkers TenTM is a weekly chart of the top stories and people discussed on news/talk radio during the week and is the result of ongoing research from TALKERS magazine. It is published every Friday at Talkers.com. View this week’s entire chart here. Round Three of Holiday PPM Data Released. The third of four rounds of Holiday 2017 PPM ratings information from Nielsen Audio has been released for 12 markets, including: Portland, Charlotte, San Antonio, Pittsburgh, Sacramento, Salt Lake City, Las Vegas, Cincinnati, Orlando, Cleveland, Kansas City, and Columbus. Nielsen’s Holiday 2017 survey period covered December 7 (2017) – January 3 (2018). See all the 6+ data from subscribing stations here. Meanwhile, managing editor Mike Kinosian (Kinosian@Talkers.com) provides his “Takeaways” from these 12 PPM markets below, with a reminder that the vast majority of major improvements by music stations in this sweep is attributable to a transition to all-Christmas music. 1) Portland – While not quite matching December’s +4.7 (to 13.7, 6+), iHeartMedia adult contemporary KKCW dials up a +3.9 as it reaches 16.9 (6+) and repeats at #1. Off nine-tenths in November, “K-103” – with its 13.7 in December and 16.9 in this sweep – is the first Portland station to reach double-digits (6+) since it did so with a 15.3 in “Holiday” 2016. A collective -1.4 in three straight downward trends (9.1 – 8.6 – 8.6 – 7.7, 6+), “K-103” responded in October with a +1.5. Prior to segueing to #2 in September, “K-103” was #1 in 39 of the previous 41 ratings periods. Climbing from fourth to third, Entercom adult hits KYCH “97.1 Charlie – We Play Everything” notches a +1.6 (5.4 – 7.0, 6+). The last time “Charlie” was above a six-share (6+) was May 2015 with a 6.5. With its highest 6+-share since August 2016’s 3.1, Salem Media Group contemporary Christian KFIS “104.1 The Fish” gains nine-tenths (2.0 – 2.9, 6+) and advances from #17 to a three-way logjam at #13. At the same time, Educational Media Foundation’s similarly programmed KLVP “Positive & Encouraging K-Love” forfeits the six-tenths it just gained in three straight upticks (.5 – .6 – .7 – 1.1, 6+) by falling to – .5 (#23 to #27, 6+). The market’s (6+) country share dwindles by -1.8, as Alpha Media’s KUPL “98.7 The Bull – #1 For New Country” is -1.1 (4.0 – 2.9, #8 to #13, 6+) and Entercom-owned KWJJ “99.5 The Wolf – Great Country for the Great Northwest” is -.7 (#10 to #11, 6+). Entering the November sweep (in which it gained three-tenths), “The Bull” had three straight flat or down monthlies that accounted for a loss of eight-tenths (4.9 – 4.9 – 4.4 – 4.1, 6+). In April – May – June, “The Bull” was down -1.1 (5.5 – 4.5 – 4.4, 6+). Meanwhile, this represents the sixth straight month that “The Wolf” is without an increase for a combined -2.6 (5.6 – 5.2 – 4.6 – 4.0 – 4.0 – 3.7 – 3.0, 6+). In advance of gaining three-tenths in June, “The Wolf” was -1.8 in March, April, and May (6.4 – 5.5 – 4.8 – 4.6, 6+). The two country rivals finished back-to-back at seventh and eighth, respectively, in both May and June. Dropping out of the top ten (from #9) and tied with KUBL at #13 is iHeartMedia-owned CHR KKRZ “Z-100 Portland’s #1 Hit Music Station,” which erodes by nine-tenths (3.8 – 2.9, 6+). The decrease ends its alternating down/up pattern that began in May (4.1 – 3.8 – 4.0 – 3.9 – 4.2 – 4.0 – 4.4 – 3.8, 6+). In five of the previous six sweeps – including the last four – “Z-100” and Alpha Media’s similarly-programmed KBFF “Live 95.5” were separated by just one-tenth of a share (6+). The margin is now one-half share as “Live 95.5” – albeit down three-tenths – is at 3.4 (6+). A collective +.9 in November and December (4.1 – 4.9 – 5.0, 6+), co-owned triple A KINK “101.9 Uniquely Portland” returns two-thirds of that gain (4.4, -.6, fifth to sixth, 6+). Without an increase for the fifth time in succession, Entercom hot AC KRSK “105.1 The Buzz – Today’s Best Mix” (sixth to seventh) is a collective -1.1 (5.4 – 4.6 – 4.5 – 4.5 – 4.4 – 4.3, 6+). 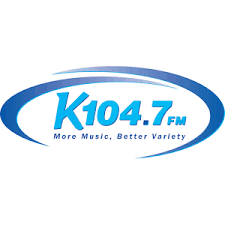 2) Charlotte – Not only does WKQC “K-104.7 More Music, More Variety” improve its December +3.0 by one full share (7.0 – 11.0, +4.0, 6+), the Beasley Media Group adult contemporary progresses from second to first. This is its strongest 6+-showing since “Holiday” 2016’s 12.3. Making way for “K-104.7” at #1 is iHeartMedia adult hits WLKO “102.9 The Lake – Charlotte’s We Play Anything Station” (7.2 – 6.5, -.7, 6+), which drops to second after only one month in the lead. The August – September – October – November topline 6+-trending for “The Lake” was a very consistent 4.5 – 4.3 – 4.5 – 4.9, but, in December, it posted a +2.3 to 7.2, its strongest 6+-showing in more than three years (7.4, September 2014). Tied with “The Lake” is co-owned classic rocker WRFX “99.7 The Fox,” which had been on top in September, October, and November, as well as in five consecutive survey periods before getting dislodged in June. Its loss of four-tenths in “Holiday” 2017 (6.9 – 6.5, 6+) pulls the plug on five consecutive up or flat trends that netted a +1.2 (5.7 – 5.9 – 6.1 – 6.7 – 6.9 – 6.9, 6+). The third player in that three-way scrum in Charlotte’s runner-up slot – and moving up from #4 – is Beasley Media Group urban AC WBAV “V-101.9,” which is a cumulative +.8 via five successive positive spikes (5.7 – 5.7 – 5.9 – 6.1 – 6.4 – 6.5, 6+). A loss of -1.1 (3.9 – 2.8, #12 to #16, 6+) by Educational Media Foundation contemporary Christian WRCM takes Charlotte’s version of “Positive & Encouraging K-Love” to its lowest 6+-share since July’s 2.4. Down or flat for the fourth sweep in succession for an overall -1.2 (5.6 – 5.5 – 5.4 – 5.4 – 4.4, 6+), Entercom hot AC WLNK “107.9 The Link – Charlotte’s Best Mix” slips from sixth to seventh. This is the lowest 6+-performance for “The Link” since April’s 3.9. As the result of six straight decreases (5.9 – 5.3 – 4.8 – 4.7 – 4.4 – 4.3 – 3.8, 6+), Beasley Media Group urban contemporary WPEG is a combined -2.1; “Power 98” departs the top ten (#9 to #11). Following six consecutive up or flat moves that more than tripled its 6+-stat for a collective +1.3 (.6 – .7 – 1.2 – 1.2 – 1.6 – 1.6 – 1.9, 6+), Entercom sports talk WFNZ “Sports Radio The Fan” returns two-tenths to 1.7 (6+) but remains at #18. 3) San Antonio – Piling a +4.9 onto December’s +3.9 (4.8 – 8.7 – 13.6, 6+), iHeartMedia adult contemporary KQXT “Q-101.9 San Antonio’s Variety Station” repeats at #1 and posts its best-ever 6+-stat in the PPM-era. Trending 3.7 – 3.5 – 3.7 (October – November – December, 6+), Texas Public Radio news/talk KSTX erupts with a +1.0. Not only does that vault KSTX into the top five (#11 to #4), it is the first time in its PPM-history that it crosses the four-share level (6+). A collective +1.5 in five sweeps in a row without a loss (2.0 – 2.0 – 2.0 – 2.7 – 3.0 – 3.5, 6+), Univision Radio Spanish contemporary KXTN “107.5 Tejano & Proud” elevates from #15 to #12. Via three straight declines (6.0 – 5.8 – 5.3 – 4.1, 6+), Cox Media Group-owned KCYY is a cumulative -1.9 as “Y-100 San Antonio’s New Country Leader” drifts from fourth to eighth. After surrendering one-half share in September, “Y-100” registered a +.9 in October. Prior to that sweep, it had been within 5.1 – 5.8 range (6+) the previous 11 months. The -.5 in September ended three straight sweeps without a decrease that netted two-tenths (5.4 – 5.4 – 5.4 – 5.6, 6+). Tied with “Y-100” at #8 is iHeartMedia-owned KAJA “KJ-97 San Antonio’s #1 Country Station,” which is without an increase for the fourth month in a row for an overall -.9 (5.0 – 5.0 – 4.4 – 4.1 – 4.1, 6+). In advance of the August ratings period, KAJA registered three consecutive uptrends for a collective gain of eight-tenths. After ten straight months at #1, Cox Media Group classic hits-oldies KONO-FM shifted to #2 in December. It remains there in “Holiday” 2017, but “101.1 San Antonio’s Greatest Hits” replicates December’s nine-tenths’ loss (6.8 – 5.9 – 5.0, 6+). A sampling of its recent (6+) fluctuations include December 2016’s -1.1; “Holiday” 2016’s -1.3; January 2017’s +1.1; April’s +.8; May’s -.6; August’s -.5; October’s +.7; December’s -.9; and “Holiday” 2017’s -.9. On the heels of December’s -.6, Univision Radio regional Mexican KROM “Que Buena 92.9” sputters by another seven-tenths (6.2 – 5.6 – 4.9, 6+) but remains in third-place. Co-owned KMYO “Latino Mix 95.1” is an overall -1.1 in three straight decreases (3.5 – 3.2 – 3.0 – 2.4, 6+) as it slides from #15 to #19. By posting a one-half share gain in December, iHeartMedia-owned CHR KXXM halted four successive down or flat trends that produced a -1.2 (4.4 – 4.1 – 4.0 – 4.0 – 3.5 – 3.2, 6+), but “96.1 Now – San Antonio’s #1 Hit Music Station” surrenders that half-share improvement in its entirety and is back to 3.2 (#11 to #13, 6+). After both stations posted the identical topline-stat four months in a row (1.5 – 1.5 – 1.7 – 1.5, 6+), Alpha Media news/talk KTSA “Stay Connected” drops two-tenths to 1.3 (#23, 6+), while Cox Media Group classic country KKYX “Country Legends” is off three-tenths to 1.2 (#24, 6+). For KTSA, December’s -.2 ended four straight improvements that produced a +.7 since July (1.0 – 1.3 – 1.5 – 1.5 – 1.7, 6+), while the loss of two-tenths in the December sweep by KKYX halted six straight up or flat trends for an overall +.7 (1.0 – 1.2 – 1.2 – 1.4 – 1.5 – 1.5 – 1.7, 6+). 4) Pittsburgh – Frozen on 5.7 (6+) in August and September and then on 5.2 (6+) in October and November, Renda Broadcasting adult contemporary WSHH more than doubles the October and November stat in December and “Holiday” 2017 with a combined +5.4 to 10.6 (6+) as “Today’s Wish 99.7” sails from fourth to second. This is the station’s best 6+-showing in exactly one year (12.4, “Holiday” 2016). Nearly six shares ahead of “Wish” is iHeartMedia classic hits-oldies WWSW “94.5 – 3WS,” which adds a +3.5 to December’s +2.0 (12.9 – 16.4, 6+) and is on top for the tenth month in a row. By way of comparison, “3WS” recorded a 13.7 (6+) in “Holiday” 2016. After posting three consecutive increases for an overall +1.3 (9.1 – 9.9 – 10.3 – 10.4, 6+), WWSW forfeited eight-tenths in June. As a result of gaining six-tenths (5.3 – 5.9, 6+), Entercom sports talk KDKA-FM “93.7 The Fan Pittsburgh Sports Radio” (unchanged at #6) matches August’s 5.9. Immediately after posting a +1.6 in December, Steel City Media adult hits WRRK “Bob” plummets by -2.1 (7.4 – 9.0 – 6.9, 6+) to shift from third to fourth. The market’s two hot ACs are a combined -1.7: Entercom-owned WBZZ “Star 100.7 Plays the Hits” (seventh to eighth) is off one full-share to 4.0, its softest 6+-share in one year (3.6, “Holiday” 2016), while Steel City Media’s WLTJ “Real Variety Q-92.9” drops seven-tenths (3.1 – 2.4, flat at #11, 6+) and has its lowest 6+-share since 2.1 in May 2016. The country format isn’t much better this sweep as its (6+) -1.3 from December is split between Entercom-owned WDSY “Y-108 Pittsburgh’s Country” (4.0 – 3.2, -.8, ninth to tenth, 6+) and iHeartMedia’s WPGB “Big 104.7 – Pittsburgh’s #1 For New Country” (-.5, flat at #12, 6+), which is off for the third time in a row for a -1.0 (3.3 – 3.0 – 2.8 – 2.3, 6+). The -.8 by WDSY ends an up/down pattern that started in June in which “Y-108” was 4.4 – 4.6 – 4.5 – 4.9 – 4.8 – 5.0 – 4.0 (6+). An August loss of one-tenth snapped at three its consecutive string without a decrease that netted seven-tenths (3.9 – 4.4 – 4.4 – 4.6, 6+). A cumulative +.9 in June and July (2.9 – 3.5 – 3.8, 6+) and then a collective -.9 in August and September (3.8 – 3.7 – 2.9, 6+), “Big 104.7 gained four-tenths in October. Elsewhere in the iHeartMedia cluster, WDVE sputters by eight-tenths (9.2 – 8.4, 6+), falling to #3 after six straight months at #2, while CHR sibling WKST “96.1 Kiss FM – Pittsburgh’s #1 Music Station” is a collective -2.0 from three consecutive decreases (8.2 – 7.4 – 6.8 – 6.2, fourth to fifth, 6+). WDVE was +1.6 in October and -1.0 in November. Its 10.2 in October marked the first time WDVE reached double-digits (6+) since March (10.4). Meanwhile, “Kiss” was +1.0 in October. A +.2 in September concluded a string of three straight decreases that resulted in a -2.1 (9.1 – 8.7 – 7.6 – 7.0, 6+). Without an increase the past seven months (.3 – .2 – .1 – .1 – .1 – .1 – .1 – .1, 6+), co-owned sports talk WBGG “ESPN Pittsburgh” adds one-tenth (to .2, 6+) and inches up from #18 to #17. 5) Sacramento – Repeating at #1, Entercom adult contemporary KYMX tacks a +5.4 onto December’s +1.2 (7.6 – 8.8 – 14.2, 6+). “Mix 96 – Today’s Hits, Yesterday’s Favorites” is the first Sacramento station to reach double-digits since it did so in “Holiday” 2016 with a 13.0. Down or flat the past three months for an overall loss of seven-tenths (7.8 – 7.5 – 7.5 – 7.1 (6+), iHeartMedia-owned KFBK “Sacramento’s News, Weather, and Traffic Station” answers with a +1.3 to 8.4 – its best 6+-stat since January’s 8.7 – progressing from third to second. After three straight improvements netting a combined +1.3 (6.5 – 6.7 – 7.1 – 7.8, 6+), the news/talk hybrid regressed by three-tenths in October. Showing one-half share gains are Entercom CHR KUDL “106.5 The End” (3.8 – 4.3, 6+) rocketing from ninth to fourth, and co-owned KKDO “Radio 94.7 – Sacramento’s Alternative” (3.3, #13 to #12, 6+), which was a combined -1.0 in three dips in succession (3.8 – 3.4 – 3.2 – 2.8, 6+). The station that KYMX succeeded at #1 in December – co-owned KSEG “96.9 The Eagle – Sacramento’s Classic Rock” – is a combined -2.2 in December and “Holiday” 2017 (8.4 – 7.4 – 6.2, second to third, 6+). “The Eagle” was a combined -1.6 in September and October (9.7 – 8.7 – 8.1, 6+). The last time it was in six-share territory (6+) was in September 2014 (6.8). In the most recent four sweeps, Entercom’s KNCI “New Country 105.1” has been -.9 (October); +.9 (November); -.5 (December); and now -1.0 “Holiday” 2017 (4.5 – 3.5, fifth to eighth, 6+). November’s increase halted three consecutive declines that accounted for a collective -1.9 (6.0 – 5.4 – 5.0 – 4.1, 6+). Meanwhile, Entravision-owned, similarly-formatted KNTY “101.9 The Wolf” regresses by one-half share (2.8 – 2.3, #13 to #14, 6+). “The Wolf” was a combined -.4 in October and November (3.0 – 2.7 – 2.6, 6+). September’s +.5 suspended four straight decreases for an overall -.9 (3.4 – 3.3 – 2.8 – 2.6 – 2.5, 6+). The market’s other country outlet – iHeartMedia’s KBEB “92.5 The Bull – #1 for New Country” is trending 1.9 – 1.8 – 1.8 – 1.9 – 1.8 (#17 to #18, 6+). Within 4.0 – 4.7 range (6+) the last eight sweeps, Entercom hot AC KZZO “Now 100.5” falters by nine-tenths to 3.6 (fifth to seventh, 6+). Off by seven-tenths are co-owned KHTK “Sports 1140” (1.9, #15 to #16, 6+) and Entravision Spanish adult hits KXSE “La Suavecita 107.1” (1.7 – 1.0, #17 to #24, 6+). Prior to the “Holiday” 2017 report, “Sports 1140” was +1.0 in seven successive up or flat trends (1.6 – 1.7 – 1.7 – 1.7 – 1.9 – 2.3 – 2.5 – 2.6, 6+). Flat at #8, iHeartMedia-owned KYRV “93.7 The River – The River City’s New Classic Rock” sputters by six-tenths to 3.5, its lowest 6+-share since March (3.5, as well). After gaining six-tenths in December, co-owned KSTE “Talk 650” surrenders all but one-tenth of it (2.6 – 2.1, -.5, 6+) but carries on at #15. Dropping one-half share as well is Entercom’s KRXQ “98 Rock,” which is without an increase for the fourth time in a row for a -.6 (4.8 – 4.7 – 4.7 – 4.7 – 4.2, fourth to fifth, 6+). 6) Salt Lake City – In a ratings period that has seen some truly astonishing benchmarks, it would be difficult to find a station with greater accomplishments than Bonneville adult contemporary KSFI. For openers, “FM 100.3 – Better Music Better Work Day” adds an eye-popping +9.6 to December’s +6.6 and is #1 for the third month in a row. Its 23.2 share (6+) is well over four times that of the market’s #2 finisher – or if you prefer – in excess of the sum total of the next five stations after it. In information from the 36 PPM-markets we’ve seen thus far, KSFI (23.2) is the only station to each a 20-share (6+); it did so in “Holiday” 2016, as well (20.6). “FM 100.3” was #1 each month in calendar year 2017 except January, March, April, and October; it was a combined -.8 in October and November (7.8 – 7.3 – 7.0, 6+). News/talk sibling, KSL “NewsRadio 102.7 FM & 1160 AM,” finishes second, but is a combined -3.2 in three straight negative moves (8.3 – 6.5 – 5.7 – 5.1, 6+). Recent KSL fluctuations include +2.0 (October 2016), -.9 (November 2016), +1.1 (December 2016), -1.5 (“Holiday” 2016); +2.1 (January 2017); -2.1 (February 2017); +.6 (April 2017); -1.1 (May 2017); -.9 (July 2017); +.6 (August 2017); +1.1 (September 2017); +1.4 (October 2017); -1.8 (November 2017); -.8 (December 2017); and -.6 (“Holiday” 2017). Up or flat for the eighth sweep in a row for a +.5 (.9 – 1.0 – 1.0 – 1.0 – 1.0 – 1.3 – 1.3 – 1.4 – 1.4, 6+), 1980’s hits KSQN “103.1 The Wave – The Next Wave of New Wave” inches up from #23 to #22. After an overall +1.9 in seven consecutive sweeps without a loss (3.9 – 4.3 – 4.5 – 4.6 – 5.0 – 5.6 – 5.8 – 5.8, 6+), iHeartMedia classic hits-oldies KODJ “94.1 Salt Lake’s Greatest Hits” is a combined -2.3 in December and “Holiday” 2017 (5.8 – 4.7 – 3.5 (fifth to sixth, 6+). This is the first time under a four-share (6+) for KODJ since April’s 3.9; November’s 5.8 was its highest 6+-share since June 2016’s 6.6. Surrendering eight-tenths from December (4.3 – 3.5, 6+), Bonneville’s similarly-formatted “103.5 The Arrow” actually improves from seventh to a sixth-place tie with KODJ. Within 5.2 – 5.9 range (6+) in each of the last 11 sweeps, Capital Broadcasting hot AC KBZN “Now 97.9 Today’s Best Music” spirals by -1.4 from 5.4 to 4.0 (third to fifth, 6+). Plummeting by nine-tenths is KSFI’s format rival – Cumulus Media’s KBEE “B-98.7 Today’s Hits, Yesterday’s Favorites” (3.2 – 2.3, #14 to #16, 6+) – which has its lowest 6+-share since 1.9 in “Holiday” 2016. 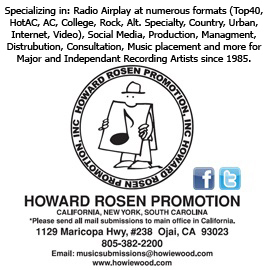 Dropping by nine-tenths as well is Broadway Media CHR KUDD “Mix 105.1 All the Hits” (3.4 – 2.5, #11 to #15, 6+). Owing to four negative moves in succession, iHeartMedia’s similarly-formatted KZHT “97.1 ZHT – Salt Lake’s #1 Hit Music Station” is a collective -2.4 (6.5 – 6.0 – 5.4 – 4.7 – 4.1, fifth to fourth, 6+). As a result of three straight monthlies without a loss (June through September), KZHT was a combined +1.5 (5.0 – 5.0 – 5.3 – 6.5, 6+). In the country arena, KUBL is -1.4 in December and “Holiday” 2017 (4.7 – 4.1 – 3.3, 6+) but stays at #8. Independent KSOP-FM “Z-104 Utah’s #1 Country,” which netted eight-tenths in three straight gains (4.6 – 4.8 – 5.0 – 5.4, 6+), drops one-half share to 4.9 (6+) and carries on in third-place. Without an increase for the eighth straight time (2.0 – 1.6 – 1.6 – 1.6 – 1.5 – 1.5 – 1.4 – 1.1 -.8, #24, 6+), Broadway Media’s KEGA “101.5 The Eagle – Utah’s Best Country” is a collective -1.2. After more than quintupling its 6+-share in six successive gains for a +1.3 (.3 – .4 – .5 – .9 – 1.3 – 1.5 – 1.6, 6+), sports talk KALL “ESPN 700” is off by two-tenths to 1.4 (#21 to #22, 6+). 7) Las Vegas – An overall +7.7 in three straight positive spikes (4.8 – 6.9 – 10.6 – 12.5, 6+), iHeartMedia adult contemporary KSNE “Sunny 106.5” repeats at #1 with its strongest 6+-stat since “Holiday” 2016 (14.0). A collective -2.7 in four successive (June through October) decreases (7.5 – 6.7 – 6.3 – 5.6 – 4.8, 6+), “Sunny” bounced back in November with a +2.1. Recent fluctuations for “Sunny,” which had been on top between December 2016 and June 2017, are +1.8 (March); -1.1 (April); -1.2 (May); +1.4 (June); -.8 (July); -.7 (September); -.8 (October); +2.1 (November); +3.7 (December); and +1.9 (“Holiday” 2017). Up of flat for the fourth sweep in a row for an overall +.9 (3.9 – 3.9 – 4.2 – 4.6 – 4.8, fourth to third, 6+), Faith Communications contemporary Christian KSOS “SOS Radio – Right Song, Right Time” registers its strongest 6+-stat since September 2016’s 5.4. Off a total of six-tenths in three straight monthlies without an increase (3.5 – 3.3 – 3.3 – 2.9, 6+), Lotus Communications’ KOMP “92.3 The Rock Station” gains two-tenths to 3.1 (6+) and continues at #14. By improving two-tenths to 1.9 (#21 to a four-way logjam at #18, 6+), Univision Radio Spanish contemporary KRGT “Latino Mix 99.3” curtails three downward trends in succession that accounted for a -1.5 (3.2 – 2.9 – 2.6 – 1.7, 6+). Following five straight downward moves in which its 6+-share was sliced by more than 80% (2.5 – 1.2 – .8 – .7 – .6 – .4, 6+), University of Nevada-owned KUNV “91.5 The Source” adds two-tenths to .6 (6+) and continues at #28. Five successive improvements by Entercom hot AC KMXB accounted for a net gain of +2.1 (4.6 – 4.7 – 5.3 – 5.9 – 6.0 – 6.7, 6+), but “Mix 94.1” returns the entire bounty in December and “Holiday” 2017 with a collective -2.1 (6.7 – 5.6 – 4.6, 6+). It slips to #4, after four straight months at #3. In October, “Mix” reached the six-share level (6+) for the first time since December 2015’s 6.1. Not only is iHeartMedia country KWNR a collective -2.5 as the result of three consecutive downward moves, (5.7 – 5.4 – 4.1 – 3.2, 6+), “95.5 The Bull – Las Vegas New Country Leader” fades from #5 to #13. In five successive down or flat trends, Lotus Communications’ KXPT “97.1 The Point – #1 for Classic Rock” is a cumulative -1.9 (5.3 – 4.5 – 4.5 – 4.1 – 4.0 – 3.4, 6+) as it drifts from sixth to tenth. Even though it is without an increase for the fourth ratings period in a row for a collective loss of four-tenths (3.0 – 2.9 – 2.8 – 2.6 – 2.6, 6+) Kemp Broadcasting rhythmic CHR KVEG “Hot 97.5” advances from #16 to #15. 8) Cincinnati – Making it five improvements in a row, Cumulus Media adult contemporary WRRM “Warm 98” improves by +9.1 since August (3.9 – 4.0 – 4.5 – 4.6 – 7.5 – 13.0, 6+) and continues at #1. Its current 13.0 surpasses the 11.7 it recorded in “Holiday” 2016. A combined -1.4 in August and September (9.7 – 8.7 – 8.3, 6+), classic hits-oldies cluster-mate WGRR rebounded with a combined +.8 in October and November (8.3 – 9.0 – 9.1, 6+), but “103.5 Cincinnati’s Greatest Hits” is -1.6 in December and “Holiday” 2017 (9.1 – 8.5 – 7.5, 6+), segueing from first to second. Stymied on 2.9 (6+) between September and December, Radio One urban-rhythmic oldies WOSL “100.3 R&B + Old School” notches its sixth straight sweep without a loss for a +1.0 (2.4 – 2.8 – 2.9 – 2.9 – 2.9 – 2.9 – 3.4, #13 to #11, 6+); 3.4 is its best 6+-stat since April (3.4, as well). Urban contemporary sibling WIZF “101.1 The Wiz” drops seven-tenths (4.3 – 3.6, ninth to tenth, 6+) and has its lowest 6+-share since 3.5 in March. Down for the fifth straight time for a collective -3.3 (9.6 – 9.4 – 9.2 – 8.0 – 7.2 – 6.3, 6+), iHeartMedia news/talk WLW remains at #3. “The Big One” fell to #3 in November, following three consecutive months at #1. WLW returned to the top in August 2017 after back-to-back appearances at #2. Frozen on 4.8 (6+) in November and December, co-owned CHR WKFS “Kiss 107.1” drops eight-tenths to 4.0 (sixth to eighth, 6+). All three of the market’s country outlets surrender one-half share: Hubbard’s WUBE “B-105.1 – Get Your Country On” (6.8 – 6.3, fourth to a third-place tie with WLW, 6+); Cumulus Media’s WNNF “94.1 Nash FM” (2.2 – 1.7, steady at #15, 6+); and Hubbard’s WYGY “97.3 The Wolf” (1.1 – .6, #19 to #21, 6+). November’s 8.2 was the highest 6+-share for “B-105.1” since October 2016’s 8.5; conversely, 6.3 in “Holiday” 2017 represents its lowest 6+-share since “Holiday” 2016 (5.3); WUBE plummeted by -1.4 in December. At this time last month, “Nash FM” regained the four-tenths it lost in November to end four downward or flat moves in succession for a collective -1.1 (2.9 – 2.5 – 2.5 – 2.2 – 1.8, 6+), while in November, “The Wolf” ended four straight sweeps without an increase that resulted in a loss of nine-tenths (1.9 – 1.9 – 1.3 – 1.0 – 1.0, 6+). In addition to the aforementioned three country outlets, Cumulus Media classic rock WOFX “92.5 The Fox” surrenders one-half share as well (4.6 – 4.1, flat at #7, 6+); “The Fox” was down six-tenths in December. While unchanged at #16, Radio One urban-rhythmic oldies WDBZ “Soul 101.5” is down for the third sweep in a row for a combined -.8 (2.4 – 2.3 – 1.8 – 1.6, 6+), immediately following five consecutive up or flat sweeps that produced a +1.0 (1.4 -1.7 – 1.7 – 1.9 – 2.1 – 2.4, 6+). 9) Orlando – Adding a +3.9 to December’s +4.4 (7.6 – 12.0 – 15.9, 6+), iHeartMedia adult contemporary WMGF “Magic 107.7” repeats at #1 with its strongest 6+-showing since “Holiday” 2016’s 16.1. After logging four losses in a row for a combined -1.3 (4.3 – 3.8 – 3.4 – 3.1 – 3.0, 6+), Entercom’s WQMP recaptures all but two-tenths of that loss (4.1, +1.1, 6+) and cracks the top ten (#13 to #9). Approximately three weeks into the December sweep (11/29), WQMP transitioned from CHR “Amp” to “Alt 101.9 – Orlando’s New Alternative.” By adding seven-tenths (4.2 – 4.9, ninth to sixth, 6+), Cox Media Group country outlet WWKA “K-92.3” records its best 6+-stat since 5.0 in March. Following 11 consecutive months on top, iHeartMedia Spanish tropical WRUM dropped to the runner-up slot in December. It remains there in “Holiday” 2017, but “Rumba 100” is without an increase for the fourth sweep in a row with the bulk of the collective -2.7 coming with the current -2.4 (11.6 – 11.5 – 11.4 – 11.3 – 8.9, 6+). WRUM spiraled by two full-shares in July; was flat in August; and was up nine-tenths in September. April’s 12.8 was the best-ever 6+-share in the station’s PPM-history. On the heels of December’s -1.9, Cox Media Group’s WMMO “98.9 Orlando’s Classic Hits” plummets by -1.0 (8.1 – 6.2 – 5.2, 6+) but remains in fourth-place. Up or flat the past four sweeps for a +1.7 (7.5 – 7.5 – 7.9 – 8.2 – 8.2, 6+), iHeartMedia CHR WXXL “XL-106.7” forfeits nearly half that gain (7.3, -.9, 6+) and remains at #3; December’s 8.2 was its best 6+-stat since May’s 8.8. 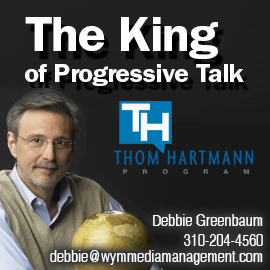 In October, “XL-106.7” pulled the plug on five straight monthlies without an increase that resulted in a -2.4 (9.9 – 8.8 – 8.1 – 7.8 – 7.5 – 7.5, 6+), a streak that followed a +2.7 as the result of four consecutive progressive trends (7.2 – 8.0 – 9.0 – 9.7 – 9.9, 6+). On the heels of a November gain of six-tenths, Entercom hot AC WOMX is -1.7 in December and “Holiday” 2017 (5.5 – 4.6 – 3.8, 6+) and exits the top ten (#7 to #11). Slumping by six-tenths each are Cox Media Group news/talk WDBO-FM “News 96.5” (#11 to #12, 6+) and (public) Community Communications news/talk WMFE (3.9 – 3.3, #12 to #13, 6+). In four straight decreases, “News 96.5” – which racked up a +2.0 in September – is a collective -2.7 (6.1 – 5.1 – 4.2 – 4.0 – 3.4, 6+). Immediately prior to an August gain of nine-tenths, it was -1.0 via three straight negative trends (4.2 – 3.8 – 3.6 – 3.2, 6+). Slipping from sixth to seventh, Entercom classic hits-oldies WOCL “105.9 Sunny FM” registers its fifth consecutive decrease and is a cumulative -2.3 since August (6.8 – 6.4 – 5.9 – 5.3 – 5.0 – 4.5, 6+). 10) Cleveland – A combined +5.5 in December and “Holiday” 2017 (4.9 – 7.2 – 10.4, 6+), Entercom adult contemporary WDOK “Cleveland’s Star 102” surges from fifth to first and matches its 10.4 in “Holiday” 2016. In December, “Star” halted three straight downward moves that accounted for a -1.1 (6.0 – 5.4 – 5.1 – 4.9, 6+). It becomes the fourth different Cleveland station in the last four sweeps to occupy the top spot. Exiting after taking its one-month tenure in the penthouse is Radio One urban AC WZAK (9.4 – 8.6, -.8, first to third). Two-tenths from the top spot in November, WZAK was +.5 in November and advanced to #1 in December with a +.9. A loss of four-tenths in October ended three consecutive positive moves by WZAK for an overall +.9 (7.5 – 7.6 – 8.1 – 8.4, 6+). Even though it is unchanged at #2, iHeartMedia classic hits-oldies WMJI “Cleveland’s Greatest Hits” rolls out a +2.5 (7.8 – 10.3, 6+) and is in double-digits (6+) for the first time since September 2016’s 10.8. November’s +.8 stopped three straight declines that resulted in a -1.3 (9.2 – 8.9 – 8.4 – 7.9, 6+), but WMJI was -.9 in December. In 2017, “Cleveland’s Greatest Hits” occupied the top spot from January through April; July (with a +1.1 to 9.2, its strongest 6+-share since 9.8 in “Holiday” 2016); August; September (tied with WZAK); and November. Co-owned adult hits WHLK “106.5 The Lake – We Play Anything” spirals by -1.1 (7.4 – 7.4 – 6.3, 6+), moving from fourth to fifth. A combined +1.3 in November and December (6.4 – 7.6 – 7.7, 6+), co-owned WGAR “99.5 – Cleveland’s #1 For New Country” returns nine-tenths (6.8, third to fourth, 6+). A nine-tenths erosion applies as well to sibling WMMS “100.7 – Cleveland’s Rock Station” (4.6 – 3.7, #10 to #13, 6+), which was -1.0 in November and +.6 in December. Via five straight upticks (2.1 – 2.4 – 2.9 – 3.2 – 3.6 – 3.8, 6+), Ideastream-owned news/talk WCPN is a cumulative +1.7 and climbs from #13 to #12. By picking up three-tenths in December to 5.5 (6+), Entercom hot AC WQAL halted four negative trends in a row for an overall -1.8 (7.0 – 6.4 – 6.2 – 5.3 – 5.2, 6+); however, “Q-104 Plays The Hits” falters by eight-tenths in “Holiday” 2017 to 4.7, sliding from eighth to ninth. Co-owned WNCX “98.5 Cleveland’s Classic Rock” follows December’s -1.1 with a loss of one-half share (7.5 – 6.4 – 5.9, 6+) but remains at #7. After six straight up or flat sweeps that accounted for a +1.5 (5.3 – 5.4 – 5.8 – 6.4 – 6.6 – 6.6 – 6.8, 6+), Radio One urban contemporary WENZ “Z-107.9” was off one-half share in October; improved by nine-tenths (to 7.2, 6+) in November, crossing the seven-share level (6+) for the first time in its PPM-history; but is a combined -1.1 in December and “Holiday” 2017 (7. – 6.7 – 6,1, flat at #6, 6+). 11) Kansas City – Powered by four positive spikes in succession (4.0 – 4.3 – 4.4 – 5.3 – 8.1, 6+), Steel City Media adult contemporary KCKC “KC-102.1 Today’s Best Variety” more than doubles its 6+-stat since September (+4.1). Not only surpassing its 7.0 in “Holiday” 2016, “KC-102.1” jumps from fifth to third. The only two stations reaching #1 in “Holiday” 2017 from this particular list of 12 PPM-markets that are not adult contemporary are WWSW, Pittsburgh (see above) and Cumulus Media Kansas City’s classic hits-oldies KCMO, which moves from second to first; “94.9 – Kansas City’s Greatest Hits” was #1 in November, as well. Similar to “KC-102.1,” KCMO is up for the fourth sweep in a row (but) for a collective +2.7 (7.7 – 8.0 – 8.8 – 9.0 – 10.4, 6+) and eclipses its “Holiday” 2016 showing (10.3) by one-tenth. The combination of KCMO’s +1.4 and co-owned classic rock KCFX “The Fox” dropping one-half share (9.6 – 9.1, 6+) results in “The Fox” shifting from first to second. A +1.2 in December lifted “The Fox” to 9.6, its strongest 6+-stat since July’s 10.3 and ended four straight down or flat sweeps that generated a -1.9 (10.3 – 8.7 – 8.5 – 8.5 – 8.4, 6+). Before November, “The Fox” occupied the penthouse for ten consecutive months. August’s -1.6 pulled the plug on five straight increases netting a +2.8 (7.5 – 8.5 – 8.7 – 9.4 – 10.3, 6+). In December, Union Broadcasting sports talk WHB was -.4, thus curtailing at five its successive string of positive trends that doubled its 6+-stat (1.5 – 1.6 – 1.8 – 2.0 – 2.8 – 3.0, 6+); however, “Sports Radio 810” rebounds in “Holiday” 2017 with a one-half share increase (2.6 – 3.1, 6+) and improves from #15 to #14. A collective -2.9 in four straight decreases (4.4 – 3.8 – 3.4 – 2.1 – 1.5, 6+), Entercom’s similarly-programmed KCSP gains one-tenth to 1.6 (#20 to #19, 6+). Prior to this just -ended negative streak, “610 Sports Radio – Our Teams, Our Town” nearly quadrupled its 6+-share with a +3.2 in five consecutive up or flat trends (1.2 – 2.7 – 2.7 – 3.1 – 3.7 – 4.4, 6+); August’s 4.4 was its highest 6+-share since June 2016’s 4.7. A November gain of seven-tenths by KMXV halted four losses in a row that accounted for a -1.0 (5.8 – 5.7 – 5.2 – 4.9 – 4.8, 6+). The Steel City Media CHR added eight-tenths in December, however, “Mix 93.3 – Kansas City’s #1 Hit Music Station” freefalls by two full shares in “Holiday” 2017 (6.3 – 4.3, 6+), drifting from third to ninth. In advance of December, the last time “Mix” reached the six-share level (6+) was nearly two years ago (6.4, January 2016), but this is its lowest 6+-showing since January 2017’s 4.2. An overall +1.3 in November and December (4.8 – 5.3 – 6.1, 6+), Carter Broadcast Corporation urban contemporary KPRS “Hot 103 Jamz” surrenders a -1.0 to 5.1, dropping from fourth to fifth. Regressing by one-half share each are Entercom’s KQRC “98.9 The Rock” (4.5, seventh to eighth, 6+) and co-owned alternative KRBZ “96.5 The Buzz” (#14 to #15, 6+). Regarding these two properties, one streak ends and another continues. Specifically, “The Rock” had been +1.1 in four straight sweeps without a loss (3.9 – 4.1 – 4.4 – 5.0 – 5.0, 6+); 5.0 in November and December represents its best 6+-share in more than two years (5.1, October 2015). Meanwhile, “The Buzz” is -1.5 in four consecutive decreases (4.3 – 4.0 – 3.9 – 3.3 – 2.8, 6+). In a similar vein, two streaks draw to a close in the country format. A combined -1.8 in three straight negative moves (6.9 – 6.6 – 6.1 – 5.1, 6+), Steel City Media’s KFKF “Country 94.1” is +.1 to 5.2 (sixth to fourth, 6+). When “Country 94.1” lost three-tenths in October, it ended five straight increases that netted +1.3 (5.6 – 5.7 – 5.9 – 6.0 – 6.1 – 6.9, 6+). Conversely, Entercom’s similarly-formatted WDAF “106.5 The Wolf,” which was +.5 in three straight up or flat trends (4.4 – 4.4 – 4.5 – 4.9, 6+), is -.1 to 4.8 (6+), but actually manages to improve from eighth to sixth; December’s 4.9 was its best 6+-share since April 2015 (4.9, as well). 12) Columbus – Aided by a massive +5.1 (5.9 – 11.0, 6+), Saga Communications adult contemporary WSNY “Sunny 95” races from sixth all the way to first. Moreover, while “Sunny” registered an 8.7 in “Holiday” 2016, this is its strongest 6+-stat since reappearing in print over three years ago (December 2014). Ousted at #1 after a six-month tenure and segueing to second is iHeartMedia country outlet WCOL (11.3 – 10.9, -.4, 6+), which has been in double-digits (6+) each sweep since June. Off a combined -1.5 in August and September, WCOL regained roughly half of that loss in October with a +.7, but was down one-tenth in November. July’s 12.7 was the highest 6+-share by any Columbus station since WCOL reached 12.9 in July 2015. It was +2.2 in January; -1.2 in February; +.8 in March; -1.3 in May; +1.4 in June; +2.1 in July; -.9 in August; -.6 in September; +.7 in October; and -.5 in December. Adult hits sibling WODC “93.3 The Bus” follows December’s +.6 with a +2.1 (5.4 – 6.0 – 8.1, fifth to third, 6+). After a -.6 in August, “93.3 The Bus” responded in September and October with a collective +1.9 (4.5 – 5.5 – 6.4, 6+), but was -1.0 in November; Holiday” 2017’s 8.1 is the highest 6+-share for “The Bus” since 11.1 in “Holiday” 2016. As a result of three successive gains (2.3 – 3.1 – 3.4 – 4.0, 6+), One Connection Media Group contemporary Christian WCVO is +1.7 and moves from ninth to eighth. Having registered five straight negative trends for a -1.4 since July (4.4 – 4.0 – 3.8 – 3.3 – 3.2 – 3.0, 6+), Radio One rhythmic CHR WCKX “Power 107.5” posts a one-half share increase to 3.5 (6+) and enters the top ten (#12 to #10). Advancing by one-half share as well is iHeartMedia’s WYTS “Throwback 105.3” (.3 – .8, #18 to #17, 6+). Following a +.6 in December, RadiOhio-owned WBNS-FM “Sports Radio 97.1 The Fan” plummets by -1.4 (5.6 – 4.2, 6+) but remains at #7. When “The Fan” lost three-tenths in November to 5.0 (6+), it closed out three straight gains that produced a +3.4 (1.9 – 2.8 – 4.0 – 5.3, 6+). December’s 5.6 was its best 6+-performance since 5.9 in the “Holiday” 2016 report; conversely, 4.2 is its lowest since September’s 4.0. Down or flat for the fifth sweep in succession for a collective -2.8 (10.8 – 10.8 – 10.7 – 9.5 – 9.2 – 8.0, 6+), iHeartMedia CHR WNCI “97.9 – Columbus’ Hit Music Station and #1 for New Music” shifts from second to fourth. The last time WNCI was below a nine-share (6+) was in March (8.9). With a September – October – November – December topline (6+) trend of 1.6 – 1.5 – 1.5 – 1.2 (#15), Radio One urban contemporary WBMO “Power” disappears from print. After posting a +1.6 in November, Saga Communications’ WNND “Rewind – Columbus’ Greatest Hits” has returned all but two-tenths of that increase in December and “Holiday” 2017 (3.6 – 3.1 – 2.2, -1.4, #11 to #12, 6+). Prior to reaching 3.6 in November, “Rewind” had been within 2.0 – 2.9 territory (6+) in each of the previous ten ratings periods. As a result of a December -.3 to 6.2 (6+), iHeartMedia news/talk WTVN halted three straight up-trends that netted eight-tenths (5.7 – 5.9 – 6.0 – 6.5, 6+), but “NewsRadio 610” falters by six-tenths in “Holiday” 2017 to 5.6 (third to sixth, 6+). News/Talk Sees Uptick in Post Holidays Audience. According to TALKERS magazine’s research as expressed in the monthly Top Talk Audiences chart found here, the audience for news/talk radio is growing again. Whether from post-election “burnout,” the popularity of holiday programming on music FMs or other seasonal factors, news/talk stations across the country in general, saw their audience appear to decline in December and through the Holiday ratings period. However, beginning with Arbitron’s February PPM data and following through to other sources, the trend of the news/talk audience appears to be on the upswing with nationally syndicated talk show host audiences in the first eight positions on the Top Talk Audiences chart rising .25 million or more. Also, a new addition to the Top Talk Audiences chart in April is Premiere Networks’ Andy Dean, whose ongoing addition of affiliates combined with performance has lifted him into the 1 million-plus listener tier. Talk Show Personality Mary Walter Returns to the Air in New Jersey; Soon to Be Syndicated Nationally via WYD Media. Well-known media personality Mary Walter returns to the New Jersey radio waves on Longport Media’s classic hits “Kool 98.3” WTKU, Petersburg, New Jersey in the Ocean City market for an evening talk program beginning Monday, April 8. The show, “Life! With Mary Walter,” will air from 9:00 pm to 12:00 midnight. Walter is a New Jersey native who spent the majority of her career hosting “Passion Phones” on NJ 101.5 (WKXW) in Trenton. 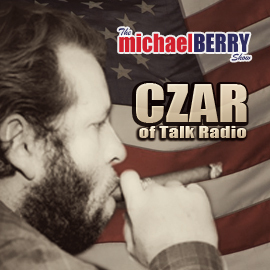 That show was a combination of relationship-based talk topics and relationship advice and was the first program to simultaneously impact both the Philadelphia and New York radio markets. She also became the state’s first female morning-drive radio host when she took over the morning slot at New Brunswick radio station, WCTC. 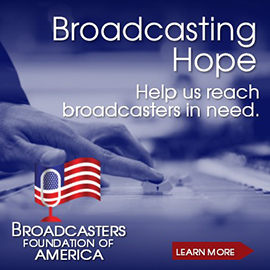 Recently, Walter has been serving as a guest host for a variety of stations across the country including Fox News Radio filling in for Brian Kilmeade, Spencer Hughes, Tom Sullivan and John Gibson. She also appears as a guest on the Alan Colmes show. She’s is also seen on Fox News Channel as a guest commentator on the Sean Hannity show and “America Live with Megyn Kelly.” On the new program, Walter says, “I love the opportunities that being a guest host affords me, but there’s nothing better than being back on a regular basis so I can build a relationship with the listeners. With a full-time show, we can get to know each other and it becomes more personal for both them and me!” Longport Media is also partnering with WYD Media Management with plans to launch the show into national syndication in the coming months, with KOOL 98.3 serving as the flagship station. WPRO, Providence’s Buddy Cianci to Be Inducted into the RI Radio Hall of Fame. WPRO, Providence and 99.7 FM talk show host and former Providence Mayor Buddy Cianci is headed for the Rhode Island Radio Hall of Fame. On May 9, Cianci will be inducted along with Bill Corsair, a popular personality from the 1960s and 1970s on WICE-AM, and Mike Gonsalves, who went by the radio name ‘‘Doctor Metal’’on WHJY. Gonsalves died in the fire at The Station nightclub in 2003. Prior to his work at WPRO, Cianci worked at WHJJ during the 1980s. Digital Will Drive Radio’s Fortunes…Or Not. BIA/Kelsey last week reported radio’s over-the-air revenues edged slightly upwards in 2012, increasing to $14.3 billion, a 1.5% increase over the prior year, while online radio ad revenues reached $491 million, or 3.3% of the combined $14.791 billion. By contrast, the Radio Advertising Bureau in February reported total radio revenues (including over-the-air, digital, and off-air sources) totaled $16.482 billion, a 1% increase over 2011 numbers. In that report, the RAB said digital accounted for $767 million, or 8% of the radio industry’s total revenue. The differences in figures obviously are due to varying accounting methodologies, and whichever numbers you look at, the facts are clear: without the inclusion of digital advertising revenues in the overall mix, the radio industry would be experiencing low single-digit decreases every year instead of slight upticks. As the BIA/Kelsey analysis indicates, radio station revenue mix will continue to shift somewhat and income from online advertising is expected to rise at a rate of about 10.8% annually over the next five years versus 2.5% from over-the-air. While many radio broadcasters still feel uncomfortable with the digital realm – often viewing it as “outside their core business” – the clear evidence shows that any real growth will be coming from online – and particular on-mobile – sources. With the U.S. economy improving at a 1-2% annual rate it is illogical to believe that over-the-air business will increase at a faster pace, especially when more and more marketers are shifting dollars from traditional budgets to digital platforms. In the long run, no matter whether the RAB figures or BIA/Kelsey numbers are more accurate, the fact remains that traditional advertising will continue to experience an upheaval over the next few years. As Google SVP and chief business officer Nikesh Arora recently said at the “D: Dive Into Media” conference in New York, 50% of ads will be online by 2018. “That’s a very large number, but online advertising accounts for less than $100 billion of that number, and there is a reasonable probability that over 50% of advertising goes online in the next five years. The big tipping point we’re waiting for is internet-connected televisions…We’re waiting for things going from ‘nice-to-have’ to ‘must-have.’” Yes, radio reaches 92% of the 12+ U.S. population each week. And no, this percentage isn’t about to shrink dramatically in the near future. But the media world is experiencing epic change that’s occurring at a near-logarithmic pace, and the dollars that are shifting to new platforms aren’t suddenly going to return to traditional media. The radio industry is in a transitional phase that requires an ever-increasing mix of old and new thinking, and that means expanding well beyond the comforts of maintaining one’s core business to better serve listeners and advertisers. This situation is analyzed in detail in an article posted today (4/2) in RadioInfo written by veteran media executive Reed Bunzel, president of Bunzel Media Strategies, who joins RadioInfo as special business correspondent. 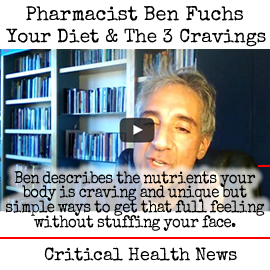 To see Reed Bunzel’s entire article, click here. Sabo Sez: Radio Should Learn About “Hyperlocal” Marketing. In an eye-opening piece posted today (4/2) about a relatively new digital sales and marketing concept known as “hyperlocal,” noted consultant and TALKERS columnist Walter Sabo explains how it is a perfect tool for the advertising initiatives of commercial radio. For example, if your station offers an app with hyper-local commerce capabilities, a listener carrying that app could pass by a Dunkin’ Donuts, and through GPS, the app could signal the listener that they can walk into DD and receive a free donut. That’s hyper-local marketing at its simplest. To read Walter Sabo’s entire article, click here. The NAB Announces Radio Board Officers. The National Association of Broadcasters announces the results of the recent elections for the radio boards. The two-year term begins in June for the following officers: Mike Boen, managing partner, BL Broadcasting, Inc; Bill Coleman, owner, Team Radio; Bill Hendrich, vice president and marketing manager, Cox Media Group Jacksonville; Ed Henson, president and owner, Henson Media, Inc.; Julie Koehn, president, Lenawee Broadcasting Company; Jessica Marventano, SVP, government affairs, Clear Channel Media and Entertainment; Mike Novak, president and CEO, K-LOVE/Air1Radio; Frank Osborn, president, Qantum Communications; Bob Proffitt, president and COO, Alpha Broadcasting Company; Heidi Raphael, vice president corporate communication, Greater Media Inc.; Paul Tinkle, president, Thunderbolt Broadcasting; and Dana Withers, president, Dana Communications. Producer Steve Ciaccio Exits WEEI, Boston AM Drive Show. The AM drive Dennis & Callahan program on Entercom’s WEEI, Boston loses producer Steve Ciaccio who takes a position outside of the radio business. Ciaccio had been with WEEI since 1997. Cool Job Opportunity. Executive Producer — High-profile network radio Executive Producer position is available for a person with a vision of the future of spoken-word entertainment. The person joining this team will be based in Los Angeles. Must understand the importance of topicality. Know the definition of first person guests and how to work closely with a production team and talent to create the most creative and entertaining content on radio, in social media, digital, on mobile. This type of position opens rarely. Sell us and tell us why you’re the Best! Please send cover letter and resume to : execproducerneeded@gmail.com We are an EOE. North Korea Threats, Texas Lawmen Killings, Gun Legislation Proposals, Stockton Goes Bankrupt, March Madness/Gruesome Leg Injury Among Top News/Talk Stories Yesterday (4/1). The increasing threats by North Korea; the rash of murders of Texas prosecutors and the possible link to Neo-Nazi groups; the plethora of gun legislation proposals across the country; the bankruptcy of Stockton, California; and the NCAA tournament and Kevin Ware’s gruesome on-camera leg injury were some of the most-talked-about stories on news/talk radio yesterday, according to ongoing research from TALKERS. Salem’s WIND, Chicago to Air Evening Show with Former Congressman Joe Walsh. Time Out Chicago’s Robert Feder reports that one-term Tea Party congressman Joe Walsh will begin a two-hour early evening talk show on Salem Communications’ WIND, Chicago on March 18. Although Salem was not commenting officially, Walsh spoke openly to Feder. The “Joe Walsh Unplugged” show will air from 7:00 pm to 9:00 pm and will often emanate from locations around the state as he indicates his recent travels to push the Tea Party ideals are part of his desire to create a movement. He tells Feder, “We are going to make this a real grass-roots push and advocacy thing, and the radio show is going to be a key part of that.” Feder reports the show is expected to be officially announced on March 14 when Walsh appears at “Obama 2.0: The Road Ahead,” a public event sponsored by WIND. Expected to be there with Walsh will be WIND afternoon host Steve Cochran, Salem Radio Network host Michael Medved and Illinois Policy Institute’s John Tillman. Arbitron to Present “Special PPM Report on the State of the Spoken Word” at Forthcoming TALKERS Conference. The agenda for the forthcoming “Talkers New York 2013” continues to grow as Arbitron, Inc. has joined the roster of presenters with a special in-depth statistical insight into the research company’s findings about the news/talk, sports talk, all-news, and NPR formats’ performance in a PPM world. It will also include a special look at listening habits and listener direction trends on the AM dial. The presentation will be delivered by Arbitron’s director of programming services Jon Miller who spearheaded a similar presentation analyzing country radio at the recent CRS in Nashville. In making the announcement, TALKERS publisher Michael Harrison says, “We were so impressed with the extraordinary value of the country conference presentation we checked out to see if they have a similar study pertinent to talk radio. 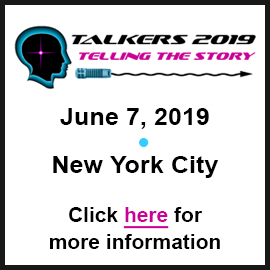 As it turns out they do and we are delighted to make it available to our attendees.” Talkers New York 2013 is the 16th annual installment of the industry’s longest-running and most important national talk radio convention. It will take place on Thursday, June 6 and is open only to members of the working media. Registration is $199 per person which includes all sessions, attractions and food services. An advance sellout is expected. For registration (phone only) and sponsorship information call 413-565-5413. Stay tuned to Talkers.com for more exciting agenda details to be announced in the coming days. Odds & Sods. Montana talk host Aaron Flint gets props from the Washington Post for his political blog “The Flint Report” as part of the paper’s “Best State-Based Political Blogs” piece. Flint, who broadcasts a daily talk radio show that airs on 17 stations across Montana, including Connoisseur Media’s KYYA, Billings, is an officer in the Montana Army National Guard and served three tours in Iraq, Afghanistan and the Horn of Africa. 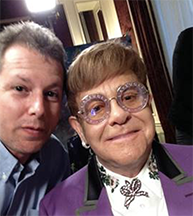 Of his media work, he says, “Every day, I hope to take a wide range of experiences to show audiences the bigger picture, or to give them a side of the story they won’t get anywhere else.”…..Programmer Peter Bolger is promoted to director of AM programming at Clear Channel’s San Antonio cluster. Bolger has served as program director for news/talk WOAI and sports talk KTKR since joining the cluster in 2007……CBS Sports Radio Network’s John Feinstein debuts a weekly hour-long segment called “One-On-One” as part of his late morning show on the network in which he interviews a sports newsmaker. The first installment is today from 11:00 am to 12:00 noon with Bob Costas. Upcoming guests for the segment include sports figures and celebrities such as NBA Commissioner David Stern, professional golfer Tom Watson and NBA champion Steve Kerr…..Talk radio pro Jeff Katz sits in for Compass Media Networks nationally syndicated host Todd Schnitt on his Monday, March 11 and Wednesday, March 13 programs. Curtis Sliwa Boasts Five-Hour ‘Commemoration’ of Hugo Chavez. WNYM, New York “970 The Answer” talk personality Curtis Sliwa tells TALKERS magazine his was the only station to “commemorate” the late Venezuelan dictator Hugo Chavez yesterday. Sliwa states, “We got the news yesterday afternoon and did two hours on the “Curtis & Jeffrey” show from 5:00 pm to 7:00 pm and then continued this morning from 6:00 am to 9:00 am on my solo show. Additionally, we discussed his career as a TV and radio talk show host as the host of “Alo Presidente.” You may think that we were comrades in arms because of our red berets and our battles with cancer. That couldn’t be further from the truth.” Pictured here is Sliwa in Cuba several years ago leading an anti-Castro and anti-Chavez chant among like-minded Cuban citizens. Sequester Impact, Hugo Chavez Dies, Iran/North Korea Nuclear Threats, and High-Flying Dow Among Top News/Talk Stories Yesterday (3/5). The impact of the sequester and the ongoing battle over federal budget issues; the death of Venezuelan dictator Hugo Chavez; Iran’s and North Korea’s nuclear threats; and the still-soaring Dow were some of the most-talked-about stories on news/talk radio yesterday, according to ongoing research from TALKERS.